The Squirrel Hill Friends have been selling special books online for several years. You can see them at www.amazon.com/shops/sqhill. Unfortunately, you cannot buy them at this time, because there are not enough volunteers to pack up books. Volunteers can schedule a time and day that is convenient for them. A packing session usually takes less than an hour. Stop in at the Friends workroom (next to the restrooms) and find out more from Pat. If the workroom is closed, check in with Jody (the branch manager). for the "JPG fast read" version. Read more about Kathleen George. See a list of all the Local Authors we've highlighted in the newsletter. Your Child Needs for School Success click here. 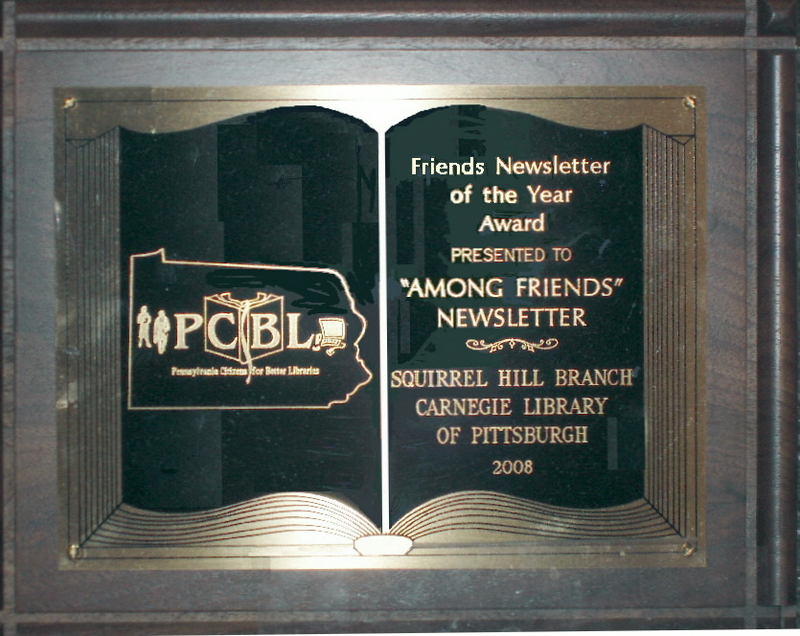 The Friends of the Squirrel Hill Library publish a newsletter at the beginning of each calendar quarter: January, April, July, and October. Members with email addresses on file are notified when the newsletter is posted online. Printed copies are mailed to other paid-up members, and some copies are available at the library. a copy from a Word file or a .pdf file. For old issues, see the bottom of this page. To find information about Pittsburgh book sales look at the Pittsburghusedbooks home page. click on Friends next to the squirrel at the top of the home page. probably because there are so many colored pictures. In January, 2012 we added a version for rapid access, made up of pictures of each page. It's called the "JPG fast read" in the list below and in the first yellow box at the top of this page. .pdf: Many of our readers feel that the .pdf version is the easiest to read online. PDF's use a "universal" format so you don't have to have Word or know how to use it. if you have downloaded the free Adobe software. click on "What does PDF mean?" in the yellow box above to learn more. until you see a gray oval near the bottom of the window. It contains several icons. Click on the Adobe icon on the far right -- a highly stylized letter A or triangle -- to see the PDF tool bar. hover your cursor near or over an icon to see a description of the action. cannot manipulate the contents as you can with a Word document. The free Adobe software also lets you "zoom" to make the print and pictures larger on your screen. 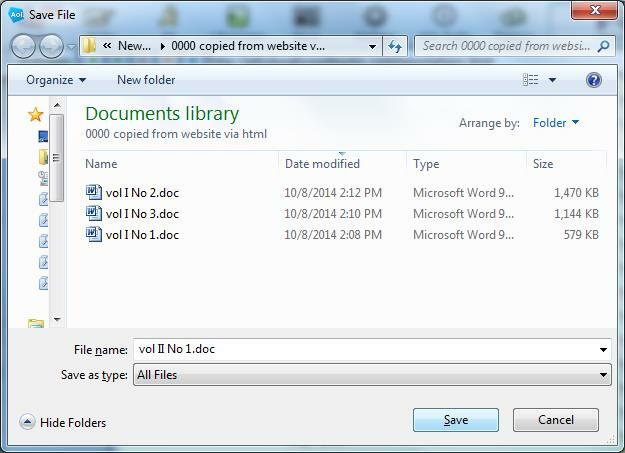 Word: The Word version is most flexible, and most PC's come with Microsoft Word software already installed. Word's ".doc" files can be saved to your computer and edited, copied, excerpted, printed, sent with e-mails, or just read. Word has a zoom function that will let you enlarge everything on the page for easier viewing, although it will still print in the original size. or "Save" it to your computer for future reference. you will have to save it to your computer and then open it in Word yourself. It's a lot easier when the newsletter appears on your computer already open in Word. if anybody reading this can explain to me why I now always get the "Save As" box, please contact me at margie@pittsburghusedbooks.com. 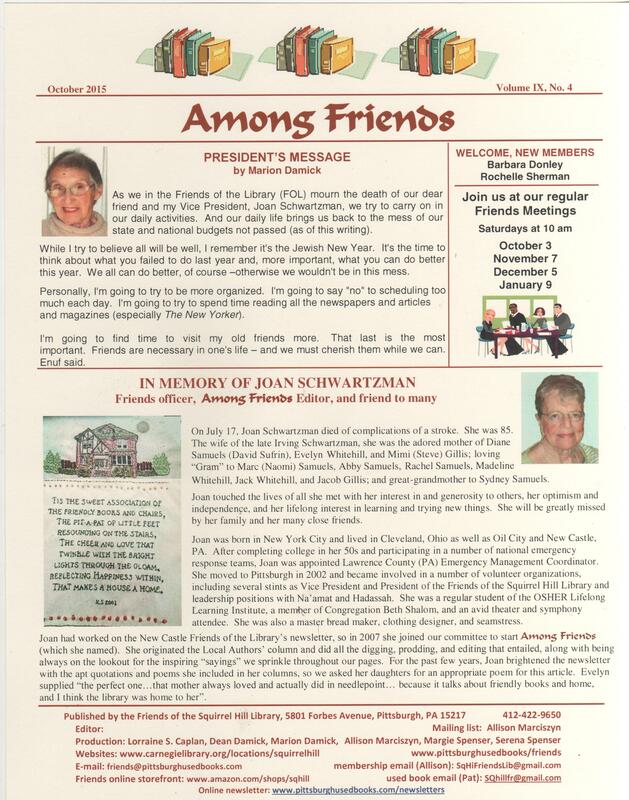 NOTE: When a formatting error is found in one of the old newsletters it will be repaired. Examples: A stray line or mark, a missing dividing line, a blank page, a color or font mixup, etc. No changes to the text will be made except to simple, obvious typos. All changes will be recorded in our Error Log.